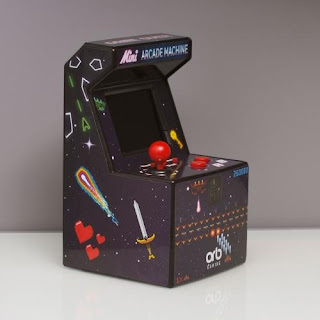 Relieve hours of video game nostalgia with the Micro Arcade Machine. 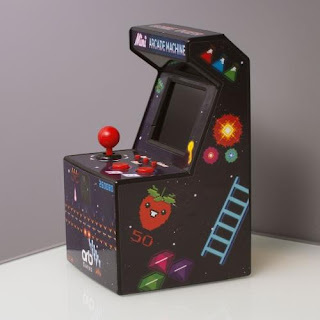 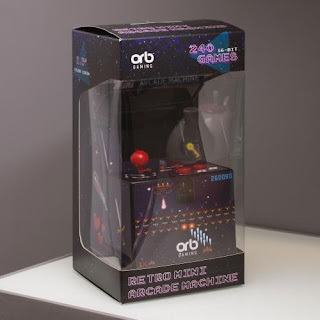 Loaded with 240 fun games, this mini arcade machine is integrated with an enhanced screen rear light to suit both bright and dim lighted environments. 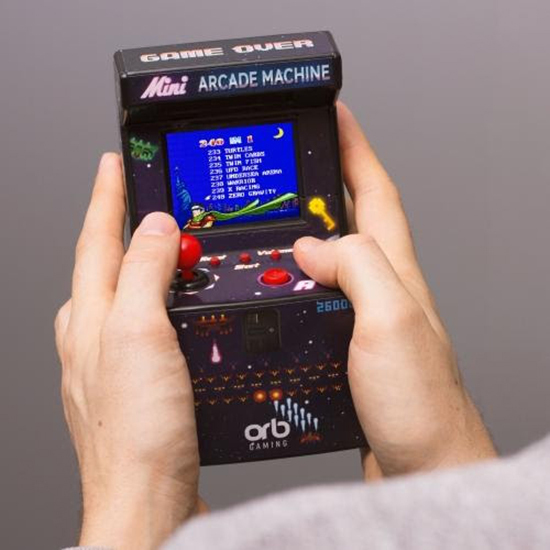 Perfect for pixel lovers and retro gamers. 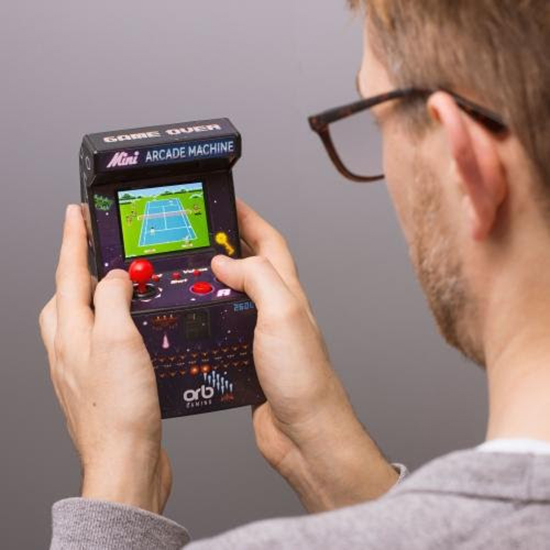 You’ll have hours of fun without having to fill your room with an old spectrum and bags full of cassettes.